Platypus Creations: Sock dolls and where it all started. 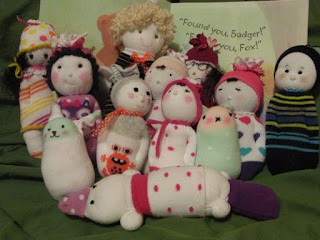 Sock dolls and where it all started. 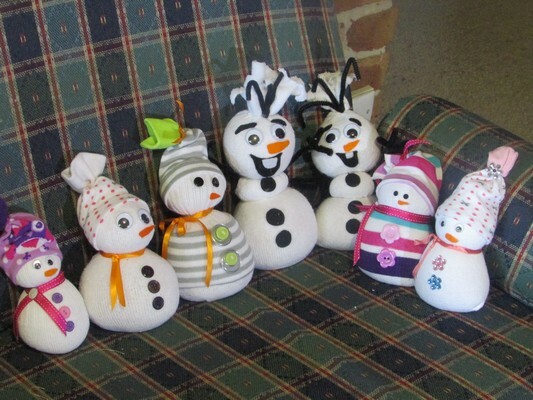 It started with a snowman called Olaf. 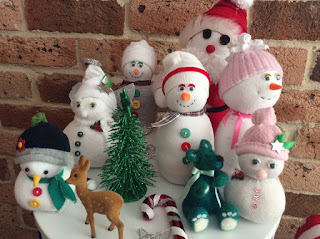 I made three for my granddaughters back in 2014 basically following Sarah's tutorial at her blog Repeat crafter me whilst on a 4 month holiday trip around Tasmania to recover from my rare cancer. They were very popular with the girls as well as others that saw them. Then the next year I decided make a few more but the simpler snowman variety and sold a few as it closer to Christmas. 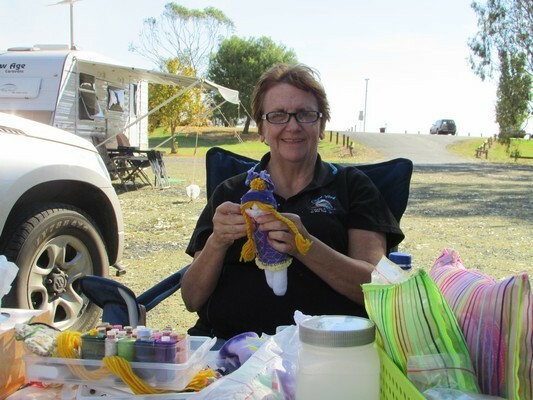 I had been greatly assisted by the caring people within a craft group called Illawarra Cancer Carers and so all my dolls & profits went to them at first. After Christmas I decided I wanted to try to make a doll from socks and my first doll was a sweet little baby. I wrote about her here. 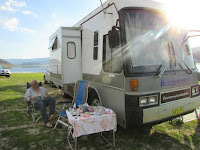 Soon my husband & I were itching to get back in our motorhome for more travelling. 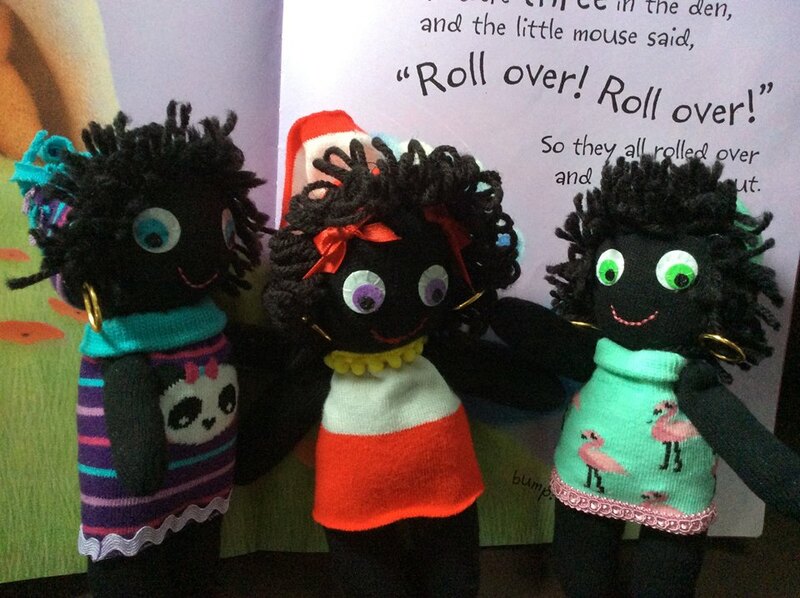 I like to have a craft to do for relaxation whilst on the road and this time I decided to expand my sock dolls. It was a great idea. I can buy socks just about everywhere and for the stuffing, I can always by new pillows in bigger towns that we pass through. I soon realized that I really enjoyed this new craft and that socks were taking over my creative life. 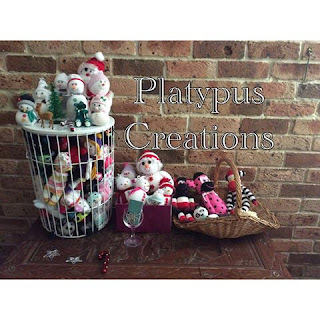 To sell my dolls on line I needed to set up a new Facebook Page, Platypus Creations and I decided then and there to dedicate 50% of all my sock toy sales to Without a Ribbon, an Australian charity set up to support people with rare cancers. 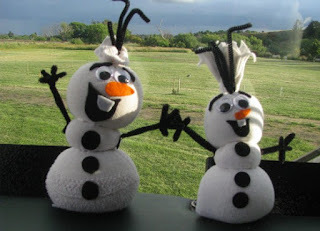 I have decided to follow through with a dedicated blog page rather than as a add on to my other craft blog, Inkspirational Designs. 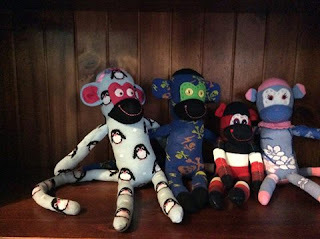 Please note that most of these sock dolls and monkeys on this page have been sold. The best and most up to date way to see what dolls are currently available is to follow me on my Facebook page of the same name. There you can browse my photos and each sock toy will have a descriptive comment along with price etc. If it has already been sold, it will be the first word in the description. 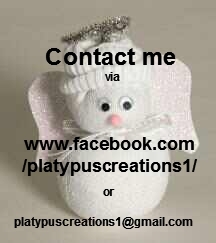 Sadly due to on going health issues, I rarely can take any custom orders, however I am always open to suggestions. So do pop across to my facebook page and see what my latest designs are. I will endeavour to keep posting my designs here as well for those of you that don't have a Facebook account!All you need to do is send me a comment and I can even send you some photos of what is available at that time. 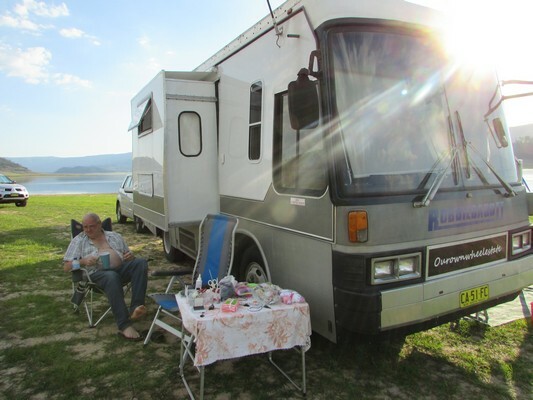 I love finding out how and why people start up whether it be crafts or a business.